This blog is for me to keep track of some of my favorite horror movies. My interests in the horror genre tend to the more old school, atmospheric horror or terror instead of the movies filled with blood and gore. 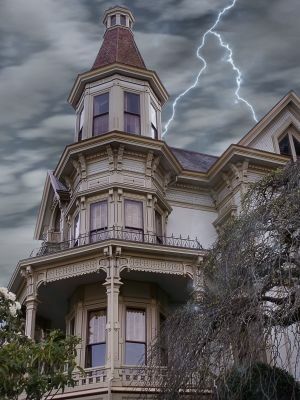 Give me a movie filled with hauntings, walks through the foggy graveyard, wind and lightning filled nights and eerie music as someone walks up the stairs into the dark attic over a slasher film anytime. I especially have an affinity toward haunted houses and made for TV terror films especially of the 70s. I hope if you find this blog that you will find some of your old favorites also. See the full blog here.